In honor of Mother’s day I photographed a Mother’s day nature walk at the North Branch Nature Center and a few other mother-child scenes. 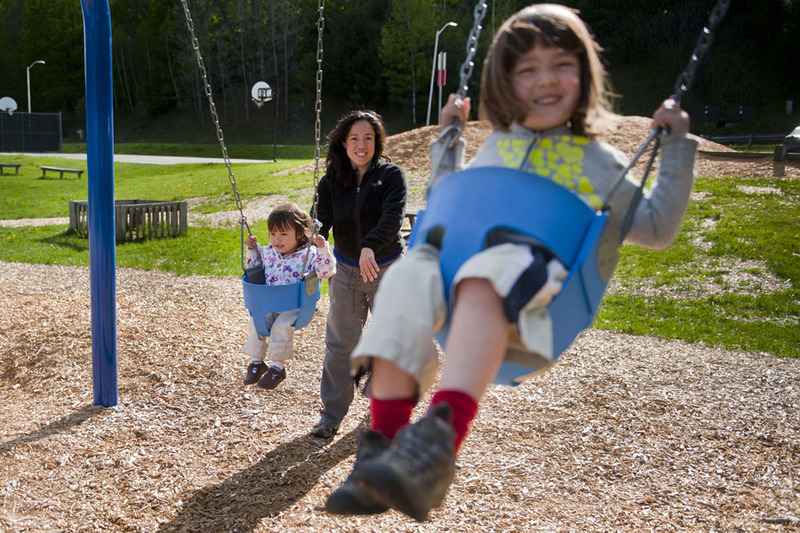 Vivian Winham pushes her daughters Catalina Winham, 18 Months old at left, and Jasmine Winham, 4 years old at right, at Charlie’s Playground 2012 in Barre Vermont on Mother’s Day, Sunday, May 12, 2013. Americorps member Ken Benton, Center, points out a patch of invasive Japanese Knotweed to the group. 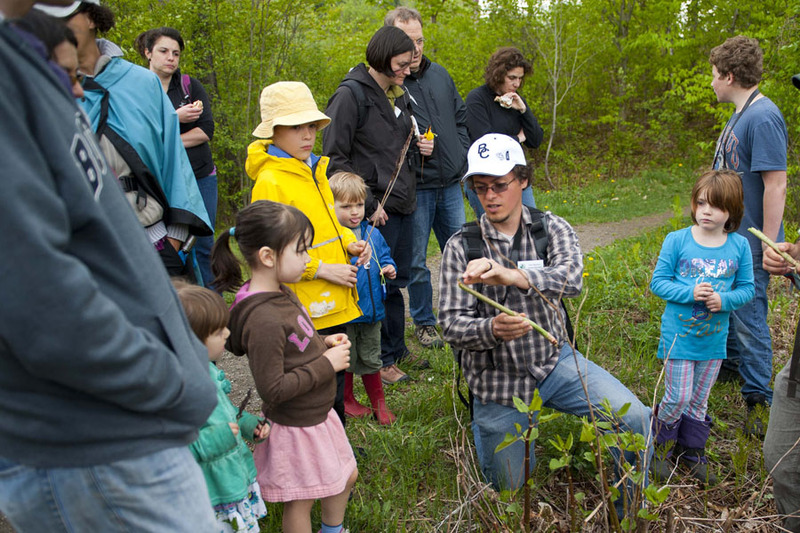 At the North Branch Nature Center in Montpelier Vermont, on Sunday, May 12, 2013. 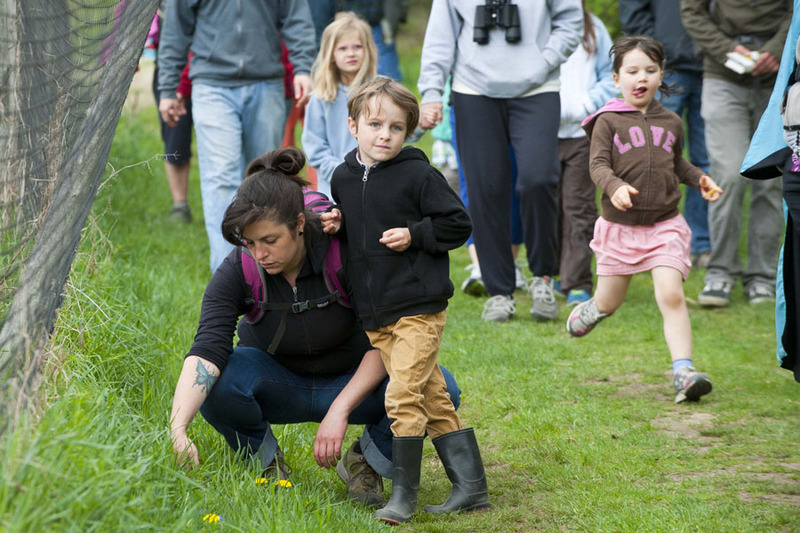 In celebration of spring, and Mother’s Day of course, the North Branch Nature Center in Montpelier held a Mothers’ Day Wildflower Walk. Lead by Americorps members Ken Benton and Zach Johnston saw about 20 children, mothers, fathers, and community members exploring the fields and trails at the nature center looking for wildflowers and other signs of spring. 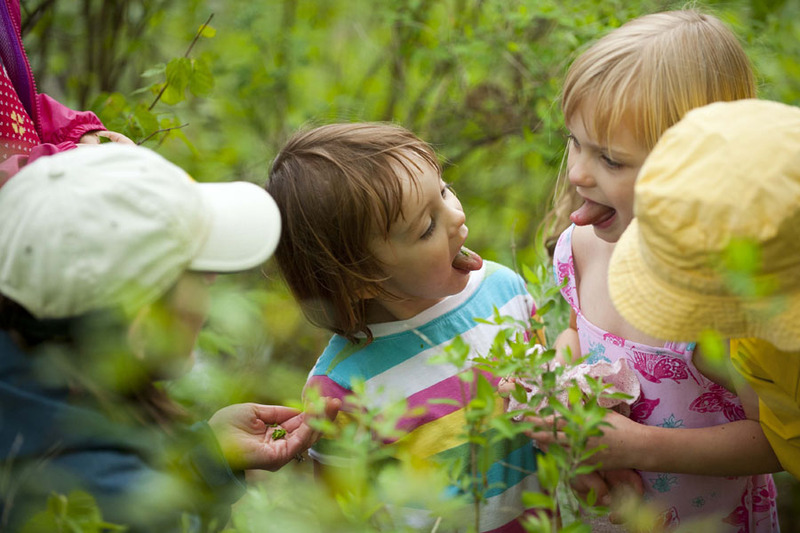 l-r Charlotte Curtin, 3, and Beatrice Curtin, 5, stick their tongues out at each other after sampling Wintergreen leaves with their mother, Julie Curtin, far left. The Group walks past dandelions and violets At the North Branch Nature Center in Montpelier Vermont, on Sunday, May 12, 2013.